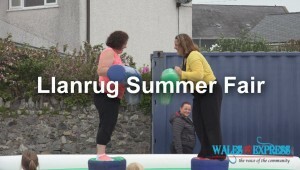 Llanrug Summer fair one week of activities raises over £2k | News by Wales Express News, People Before Profit! 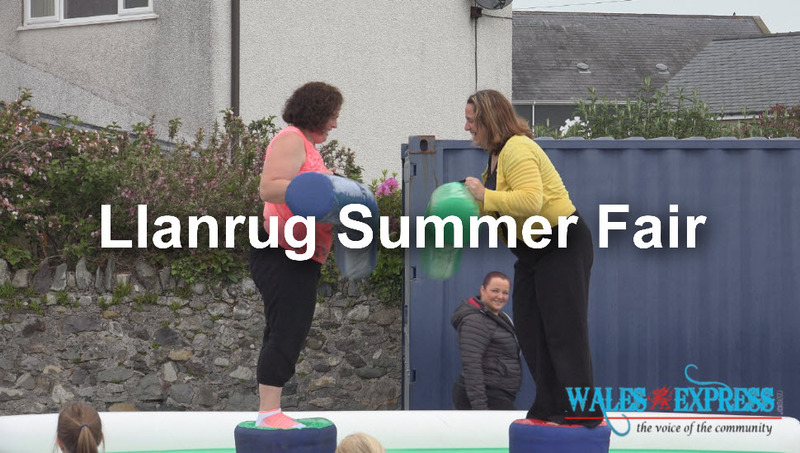 The village of Llanrug bustled with activity with Summer fair week, and the activities culminated in a Summer fair last Saturday. Over the week, a car treasure hunt, a bingo night at the primary school, and a film night was held for Ysgol Llanrug’s pupils. As well as a school sports evening and the summer fair itself. One of the organisers, Judith Beech, said: “We discovered that because of cuts, the weekly swimming lessons for Ysgol Llanrug pupils were under threat. “So, we decided to try and raise the £2,500 needed to continue them next year. The main event, the Summer Fair, on Saturday June -13, started with a parade from Nant y Glyn park. Band Llanrug played, there was a climbing wall, kindly donated by DMM Engineering, two actors from the S4C series Rownd a Rownd, who play the characters of Barry Hardy and Dani Keegan-Williams, also attended. Judith added: “We would dearly love to reach our target of £2,500 so the swimming lessons can continue, not only for the health benefits for the children, but also because it can save lives. “We would like to thank the following businesses and individuals for their help, Gypsy Wood, Bontnewydd, Explore football, Blas yr Allt, Dylan Griffith, Llanrug, Shop Premier, Llanrug who all contributed to the raffle.